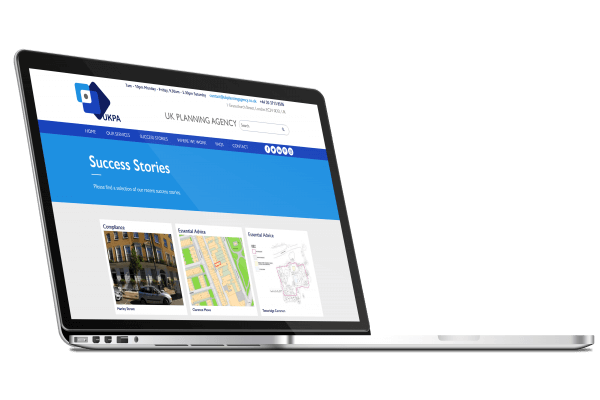 The UK Planning Agency advises on the planning process and strategy and their website showcases their services and success stories. 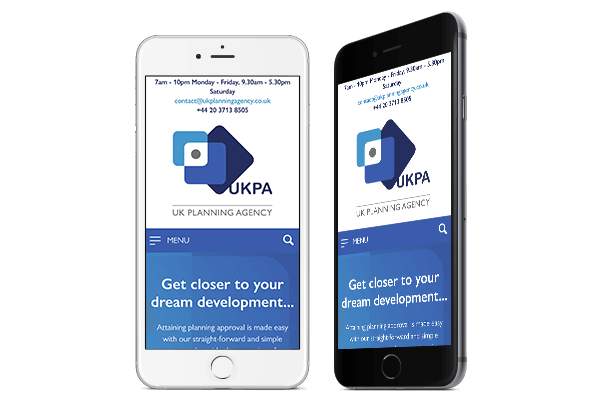 We worked with Nicky from Shout Sales and Marketing to align the website’s design with UKPA’s sales and marketing goals. In the design by Bright White Space ample space is given to case studies so customers can get a feel for the offerings. There is also a multi-page form that guides clients through providing details of their case and getting a quote. Mobile responsiveness is always important in web design with increasing numbers of people searching online and browsing the web from their phones. The website needs to scale properly with the example plans and illustrations easy to view on small screens as well as large. The multi-page form must be correctly formatted so clients can apply for a quote on mobile. For the best user experience the design of the application form is important. The number of columns, input fields, the labels, and many other factors need to be taken into account. By grouping the information and splitting the pages it is much easier to manage and progress is signposted at the top with a status bar. There’s also a call-out box if the clients need help or would prefer to call, to cut down on abandoned forms. 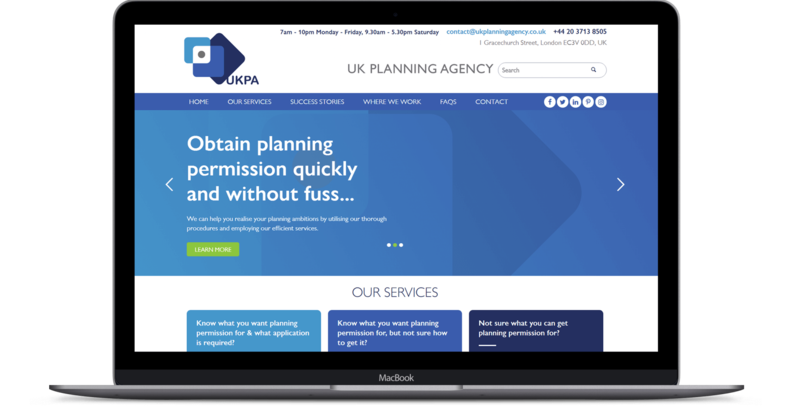 The UK Planning Agency website uses the WordPress content management system. This allows for frequent and easy changes to the content of the site, such as adding more resources, case studies and news. WordPress powers 75 million websites globally thanks to its flexibility and ease of use.